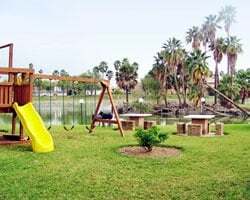 *Fort Brown Condo Shares* is located at the tip of Texas in the semitropical Rio Grande Valley of Texas--just a short distance from the Mexican border. Swim in the resort's heated outdoor pool or relax in the on-site whirlpool. Popular beaches of South Padre Island are just 23 miles away providing an array of aquatic activities from deep-sea fishing to scuba diving. Golf at the municipal Course across the street. The resort is situated on the grounds of the historic battlefield of the Mexican-American War. Rich in history, Brownsville offers many sights from the battlefield to the famous Gladys Porter Zoo. 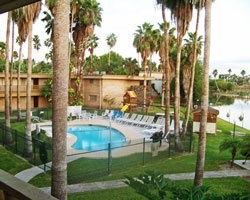 Great resort in the Rio Grande Valley of Texas! Floating week! Buyer may receive a title fee credit, inquire for details! Lovely resort in a history rich area! Come see the many historical attractions! Buyer may receive a title fee credit, inquire for details! Annual floating week! Endless possibilities available! Buyer May Receive A Title Fee Credit, Inquire For Details! Annual floating week! Buyer May Receive A Title Fee Credit, Inquire For Details!